Quantity or quality? 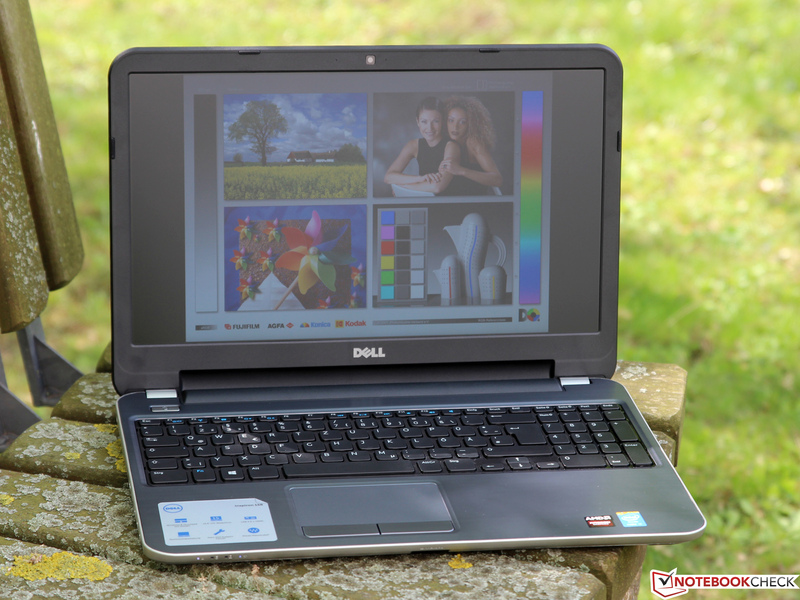 Compared to the ever-slimmer competition the massive Dell Inspiron 15R appears as a cumbersome underdog, however with good equipment at a small price. Special highlight: The fast Radeon HD 8850M with GDDR5 memory. 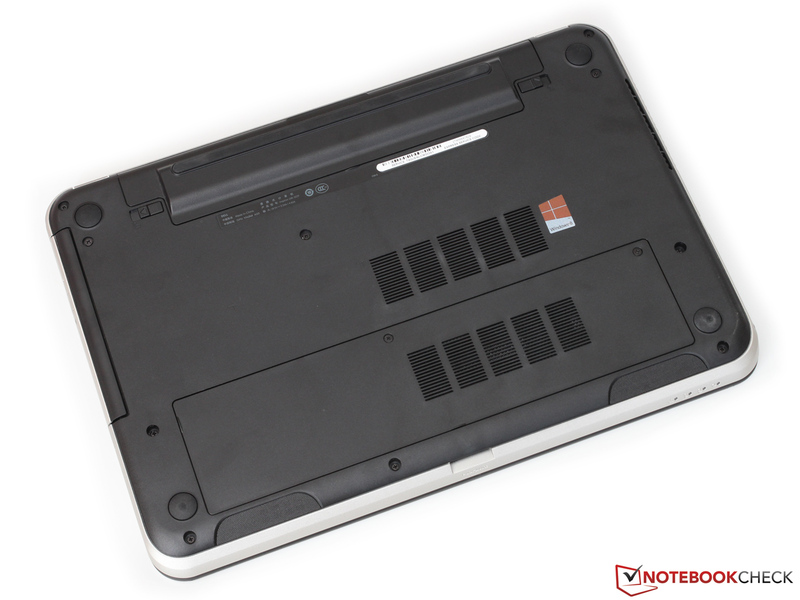 Not every user who is looking for a simple notebook for the occasional game has to turn to the costly gaming notebooks - there are also many inexpensive devices able to run current titles smoothly and in good quality for far less than 1000 Euros (~$1387). 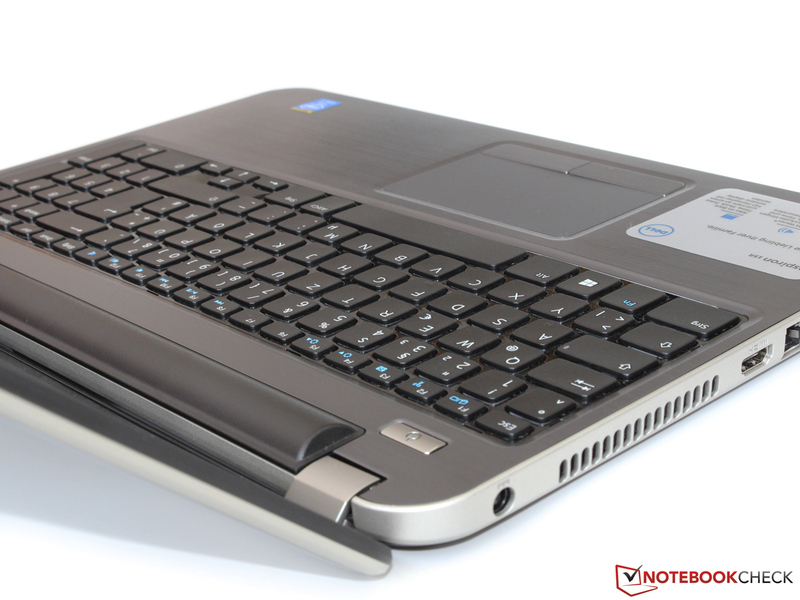 Lately, models such as the Acer Aspire V5-573G turned out to be especially popular, due to their combination of an economical ULV processor and a relatively powerful dedicated graphics card. 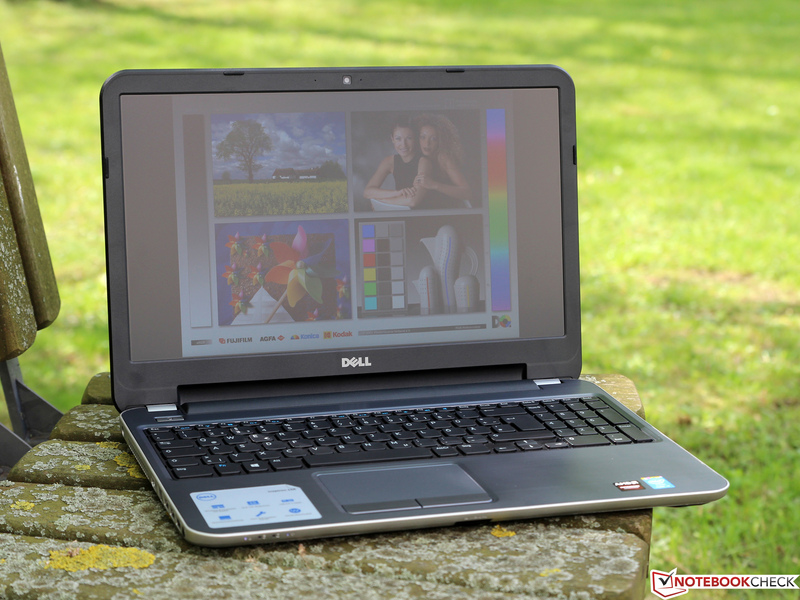 The Dell Inspiron 15R-5537 uses this exact same concept. Powered by a Core i7-4500U, which is accompanied by 8 GB RAM and a 1,000 GB hard drive, the 15-incher promises plenty of power reserves for more than just office and multimedia applications. Owing to the additional Radeon HD 8850M and the high-resolution Full HD display, gamers should also get their money's worth. 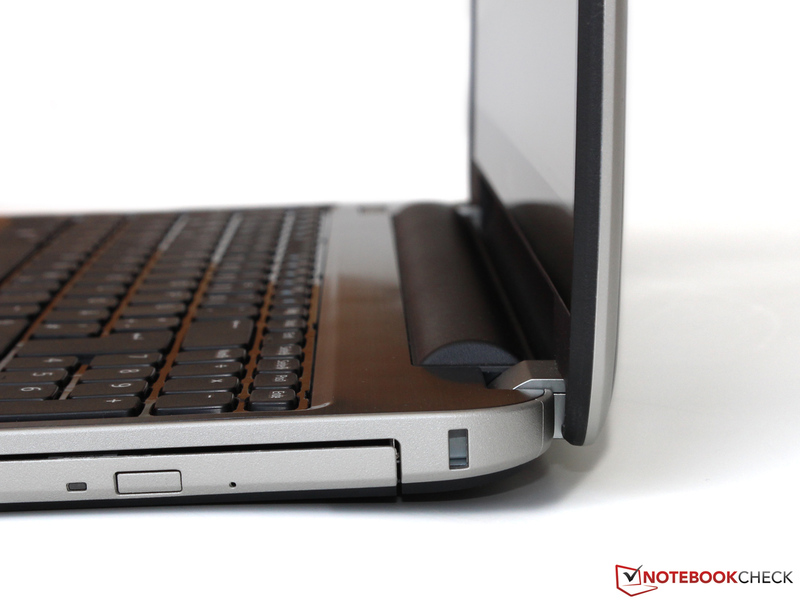 With this configuration, the laptop is currently available for about 750 Euros (~$1040) at various retailers. 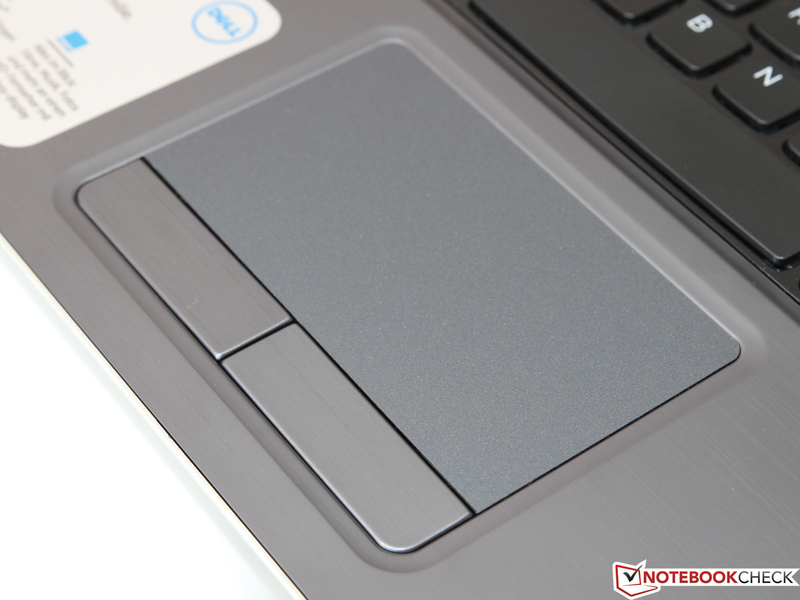 Since we already tested another configuration of the Inspiron 15R extensively a few months ago, there is no need to describe the case, the connectivity and the input devices. All these descriptions and more can be found in our original review. While our last test sample was still equipped with a mirrored WXGA panel (1,366x768 pixels) including a touchscreen, we hold the model with a matte Full HD display (1,920x1,080 pixels) in our hands this time - hence operating the device with your fingers is not possible. However, many buyers will probably not mind since the pixel density, which was increased to 141 dpi, is a more than equivalent compensation. Finally, the display offers sufficient workspace to open several programs next to one another without blurry writing and symbols. 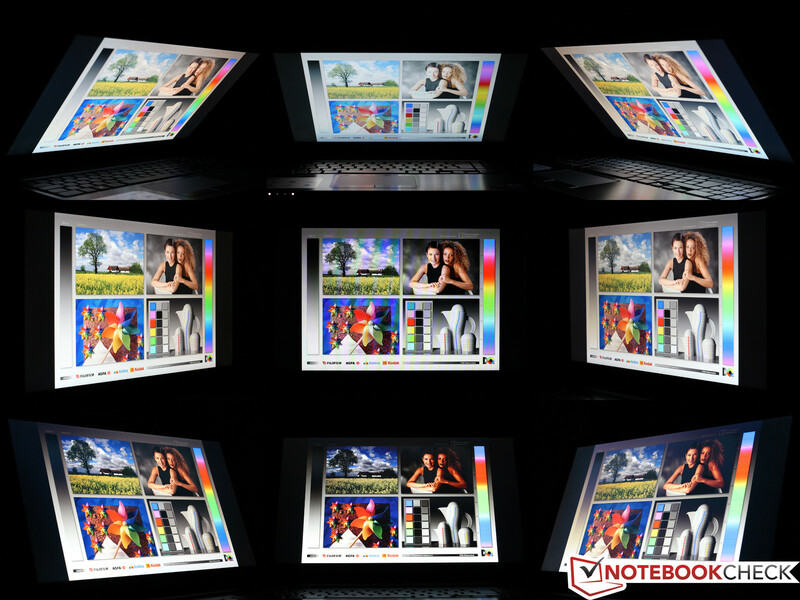 This is just one advantage of the Full HD model: The luminance makes a great leap upwards and now lies at a solid 251 cd/m² (WXGA: 187 cd/m²), subjectively spreading evenly across the entire display. We could barely detect distracting halos even with a completely black test pattern and maximum brightness. Indoors the backlight needs to be maxed out only rarely anyway. Level 7 of 11 already suffices for the common 150 cd/m². 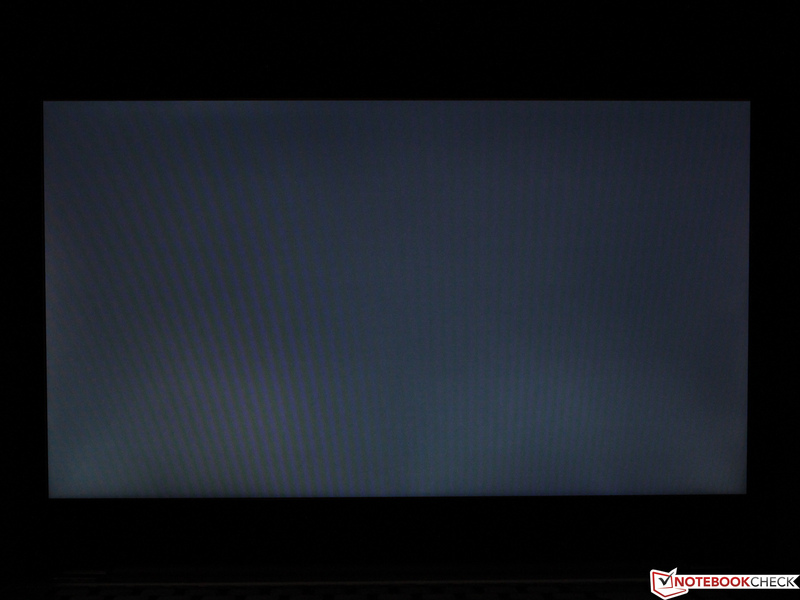 Unlike the Acer Aspire V5-573G, the Inspiron 15R does not deploy a high-grade IPS panel, but merely uses a conventional TN panel. 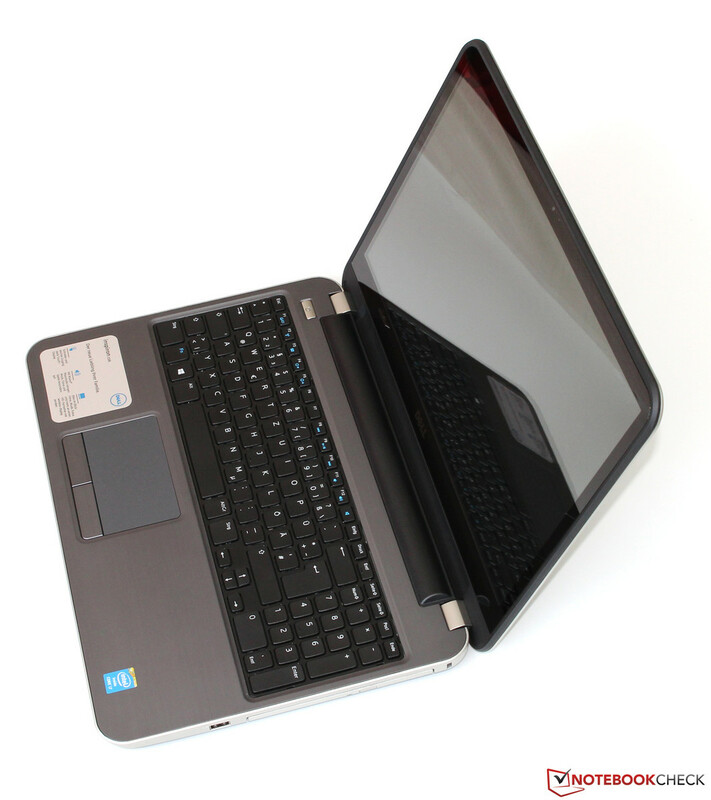 The display, made by AUO, goes by the name B156HW02 and is already known to us from several other Dell notebooks (Latitude E6540, Latitude 3540). 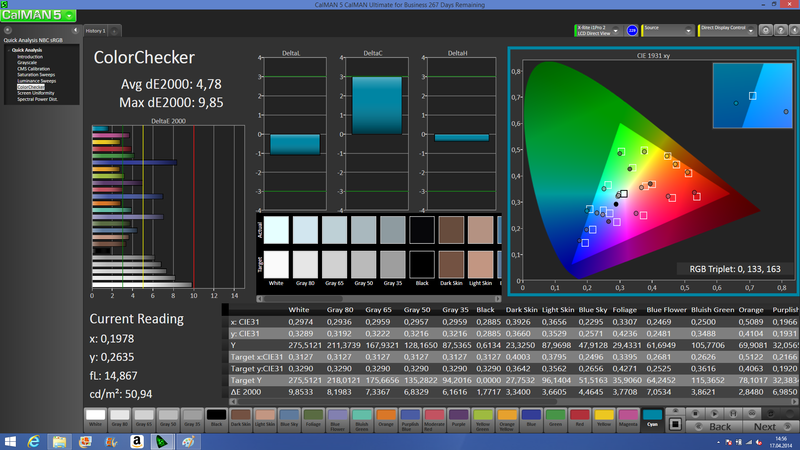 The black value (0.45 cd/m²) and therefore the contrast ratio (578:1) are about average; typically, the range starts at about 300:1 in the low-end section and goes beyond 1000:1 for the absolute high-end panels. 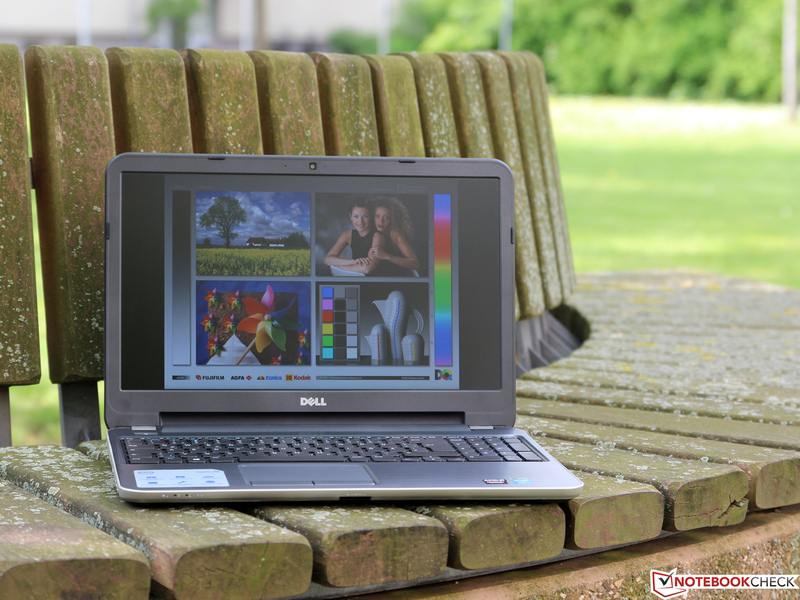 The Inspiron considers itself a device purely for the average consumer and thus does not have to satisfy special demands regarding the quality of the color display. All the more surprising is that despite the slight blue cast the display shows comparatively minor deviations concerning color (Delta E 4.8) and grayscale (Delta E 5.9). Professional users might however, criticize the relatively small color space, which is only able to cover 69 percent of the sRGB standard; the even more demanding AdobeRGB target is only fulfilled by 52 percent. Due to its size and weight, the 15R will probably be operated on the home desk most of the time. However, it also cuts a good figure outdoors. 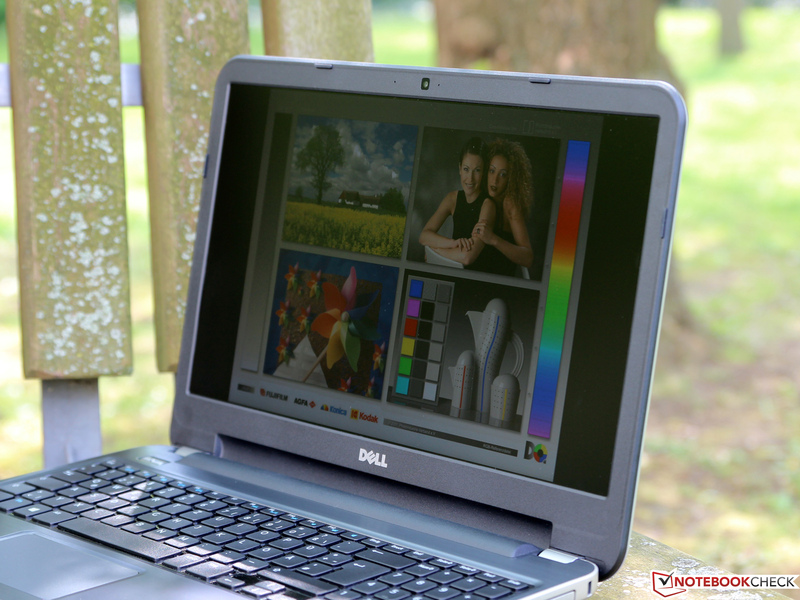 Distracting reflections stand no chance owing to the high brightness and the anti-glare display surface so that the image content is easily legible even on sunny days. 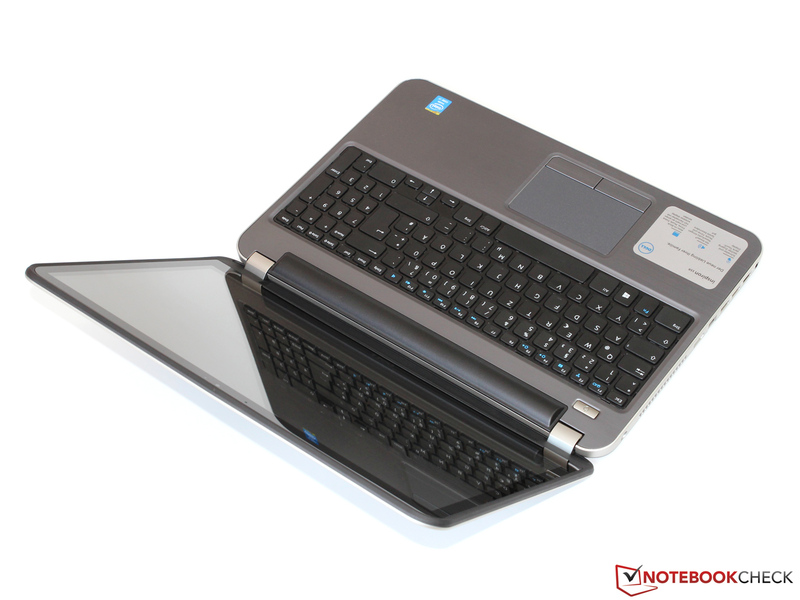 Concerning viewing angle stability, the device admittedly comes off slightly better than other TN panels, but is not able to compete with the IPS display of the Aspire V5-573G. The contrast decreases and colors become distorted, particularly when moving the head up or down. The display proves to be slightly more tolerant towards sideways movements but once again distinct image deviations are observable at about 40 degrees and more. 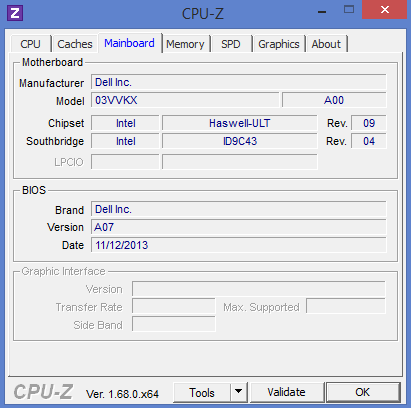 Depending on the configuration, Dell installs various ULV models of Intel's current Haswell generation, in this case a Core i7-4500U. 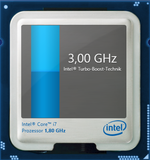 The 1.8 GHz processor has two cores and is able to reach a maximum clock speed of 3.0 GHz via Turbo Boost (two cores: 2.7 GHz). 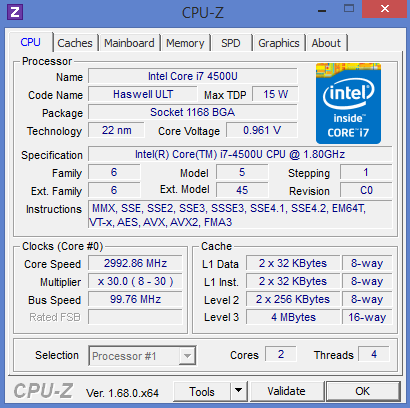 It supports the Hyperthreading technology for the simultaneous computation of up to four threads. 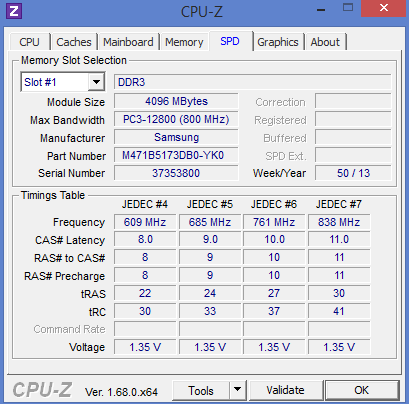 In combination with the high "per MHz performance" of the Haswell architecture this promises respectable performance values, although the TDP of 15 Watts is far below that of conventional standard voltage CPUs (37 Watts and more). The HD Graphics 4400 in our test sample, which is integrated into the processor, is supported by a dedicated Radeon HD 8850M. AMD's Enduro technology ensures that the graphics card is only activated for 3D applications and games, thus impairing the power consumption and therefore the battery runtimes as little as possible. The manufacturer of the Inspiron fitted it quite generously with 8 GB main memory distributed between two 4 GB modules DDR3L-1600 in Dual-Channel mode and a 1,000 GB hard drive. 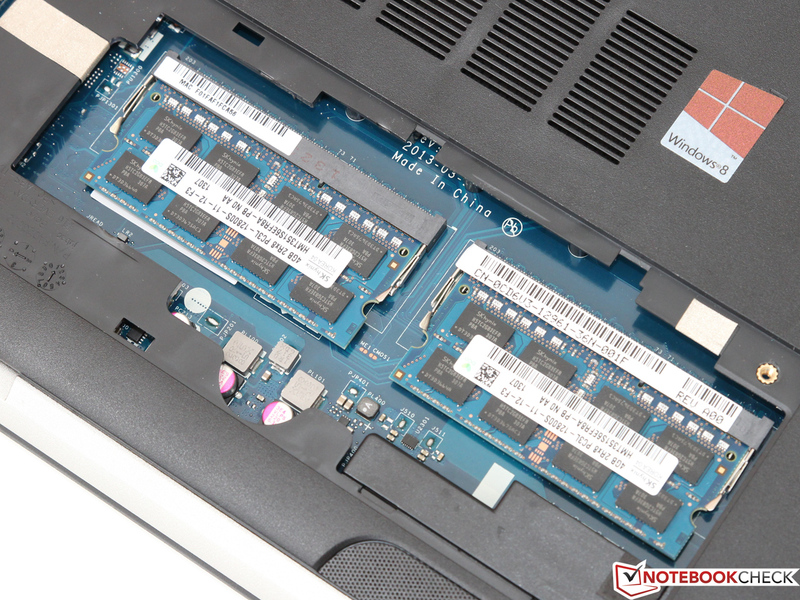 On the other hand, the notebook offers few possibilities to extend the equipment afterwards - both DIMM slots are occupied ex-factory and additional 2.5-inch slots or an mSATA slot are unfortunately missing. The relatively massive 15-inch chassis has no problems dissipating the waste heat of the economical ULV processor. Hence, the Core i7-4500U can use its full Turbo Boost over long periods of time, as long as it is not throttled by its low TDP classification. In the Cinebench R11.5, the Inspiron reaches a score of 2.85 points in the multi-thread test (CPU clock 2.5 to 2.7 GHz) and 1.34 points in the single-thread test (CPU clock 3.0 GHz). 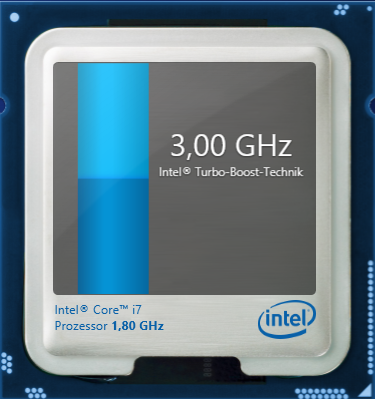 For comparison: A Core i5-4200M of the 37-Watt class computes about 15 percent faster at best. Fortunately, the manufacturer passed on installing an artificial CPU reduction in battery mode so that the full power of the Core i7 is available even on the go. In return, the notebook slips up elsewhere: Under simultaneous load of the processor and the graphics card the CPU drops to its base frequency of 1.8 GHz - later on we will find out how this affects the frame rate in demanding 3D games. Despite continuously falling prices, fast SSDs are still almost ten times more expensive than a comparatively big hard drive - especially for low-cost notebooks this is a definite show-stopper. 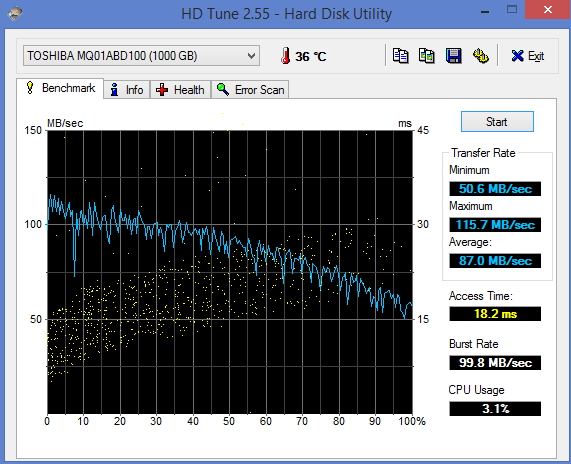 Therefore, we cannot blame Dell for using "just" a conventional HDD from Toshiba. The MQ01ABD100 offers impressive 1,000 GB storage space, but due to its meager 8 MB cache and a speed of 5,400 rpm, we do not expect new performance records. Our benchmarks with HD Tune and other programs confirm this assumption: A transfer rate of about 87 MB/s and an access time of 18.2 milliseconds are merely average for hard drives of this type. 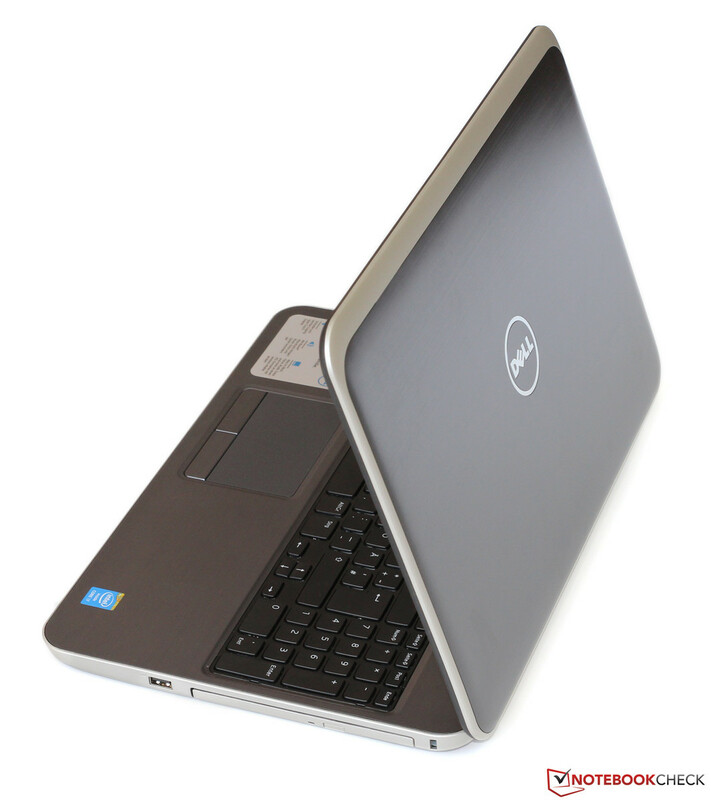 Unfortunately, Dell did not install the sister model MQ01ABD100H. As the name suggests, it is a so-called hybrid SSD (SSHD) with an additional 8 GB flash memory, which improves the access time for frequently used data drastically. Without an SSD, the Inspiron is not able to conquer one of the top ranks in our PCMark 7 ranking - Futuremark's synthetic system performance test reacts very sensitively to the performance of the processor and the storage device, which is reflected in the following diagram. 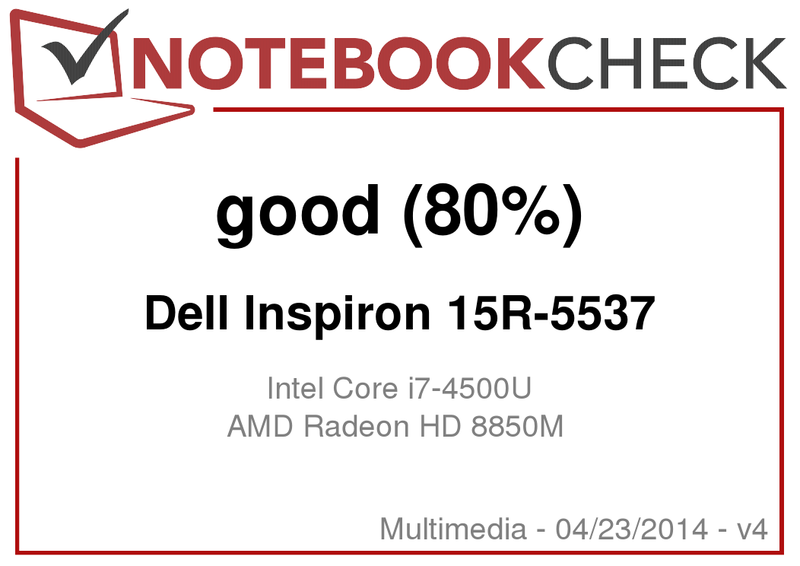 Although our candidate's score of 3,319 points beats the Aspire V5 (2,878 points, HDD), which is equipped with a Core i5, it fails to do the same with the Inspiron 15-7537 (5,454 points, SSD) and the IdeaPad Z510 (4,214 points, SSHD) and falls more or less far behind. However, the HDD is not just slow in theory: Whether on startup, running installations or when loading programs - time after time the slow hard drive is putting the brakes on an otherwise quite powerful system. To be fair though, it needs to be mentioned that this applies to most of the competitors as well. Those who simply cannot go without an SSD in this price range have to accept other drawbacks. 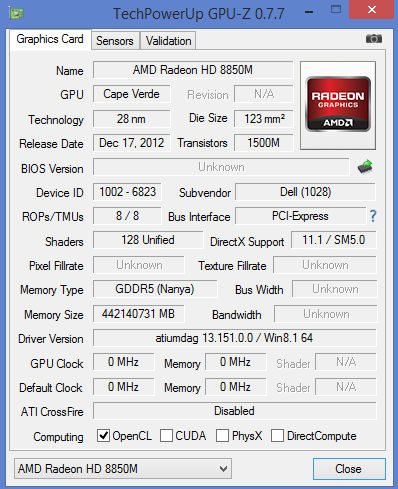 The Radeon HD 8850M is a dedicated mid-range notebook graphics card based on AMD's 28 nanometer chip "Cape Verde". A total of 640 shader units with a clock speed of 575 to 625 MHz provide the necessary computing power. 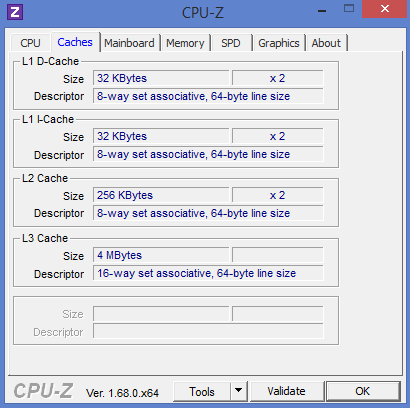 Two GB GDDR5 (1,000 MHz) on a 128-bit interface serve as graphics memory. 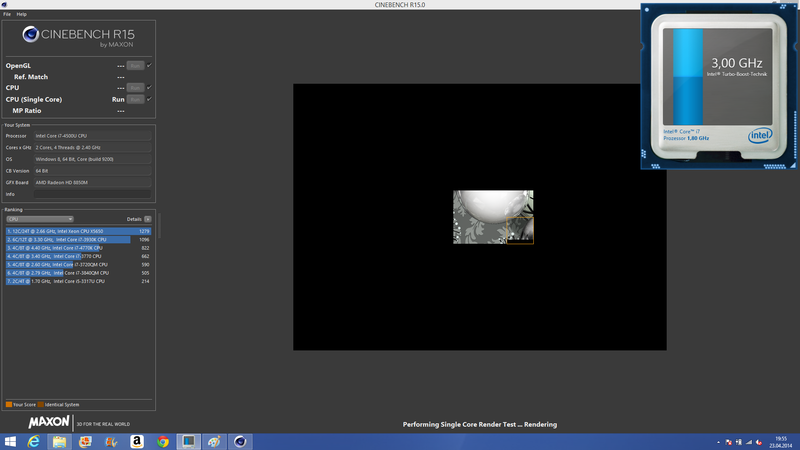 On balance we get a 3D performance that is comparable to that of an Nvidia GeForce GT 750M. 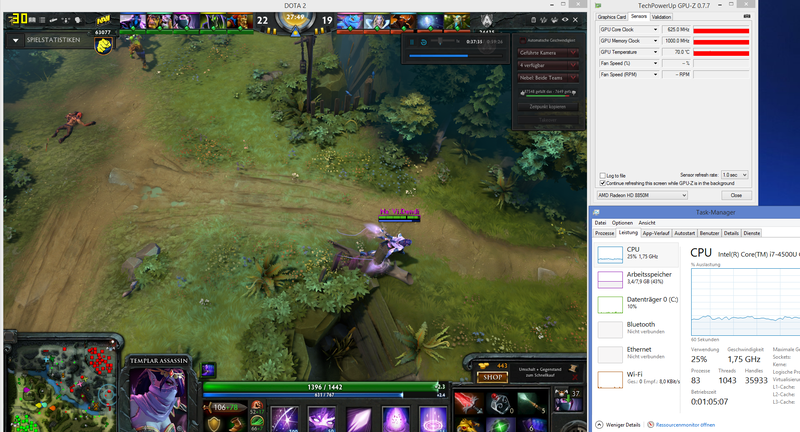 The higher clock speed of the GeForce seems to be canceled out by the greater amount of ALUs of the Radeon. The 8850 comes off especially well in very bandwidth demanding situations because the GT 750M is only rarely equipped with the faster GDDR5 memory. 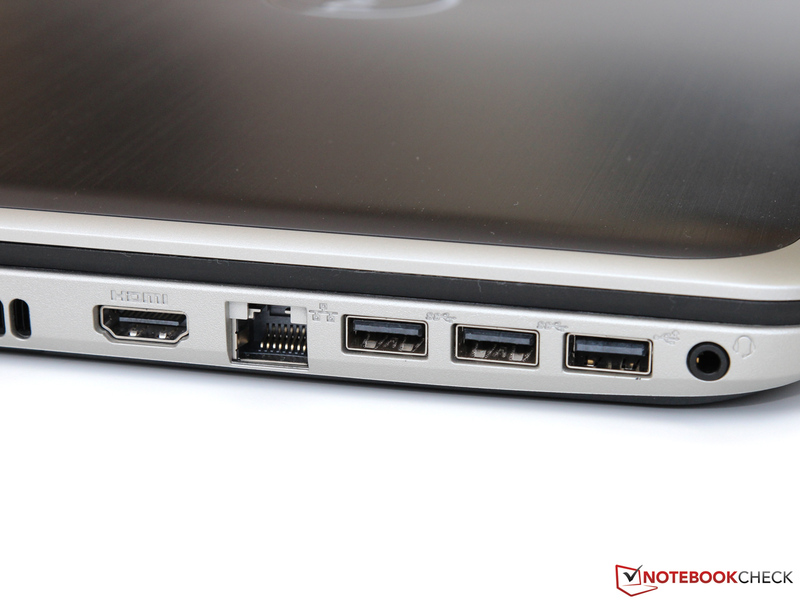 In comparison to the integrated HD Graphics 4400, the AMD card is faster by a factor of 2.5 to 3; however, only as long as the notebook is powered by the power-supply. In battery mode, the GPU runs at a meager 400/300 MHz (core/memory) and loses about 40 percent of its performance (3DMark 11: P1454). According to the good 3DMark results, the gaming performance is also quite impressive. 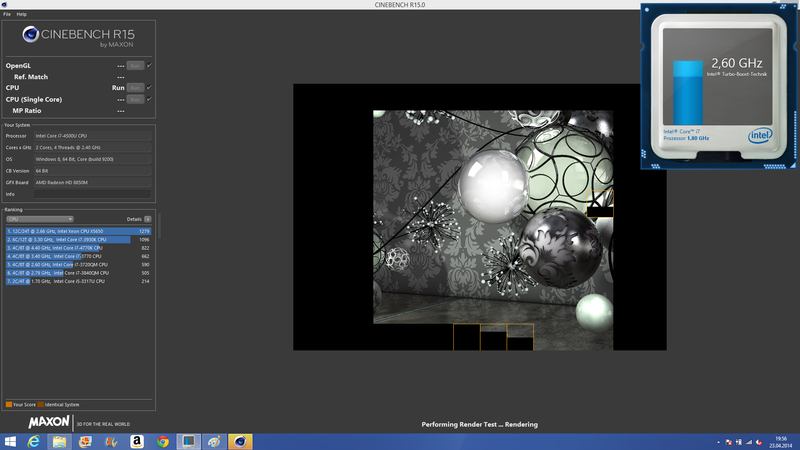 Apart from Thief, we were able to reach smooth frame rates of at least 30 fps for all tested games. Even though maximum details and a native display resolution overexert the reserves of the HD8850M most of the time, a resolution of 1,366x768 pixels and medium high settings are usually no problem. 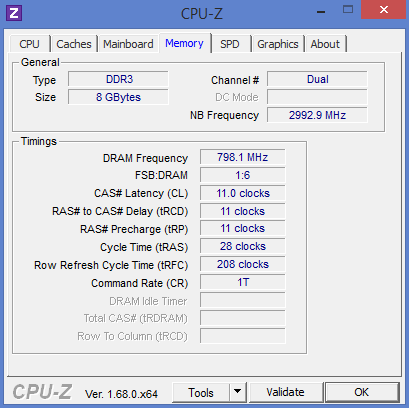 The CPU speed, which is limited to 1.8 GHz, throttles only under a few circumstances. Those who require more power should be on the lookout for a notebook with a GeForce GTX 850M - however this is linked with a considerable price increase. 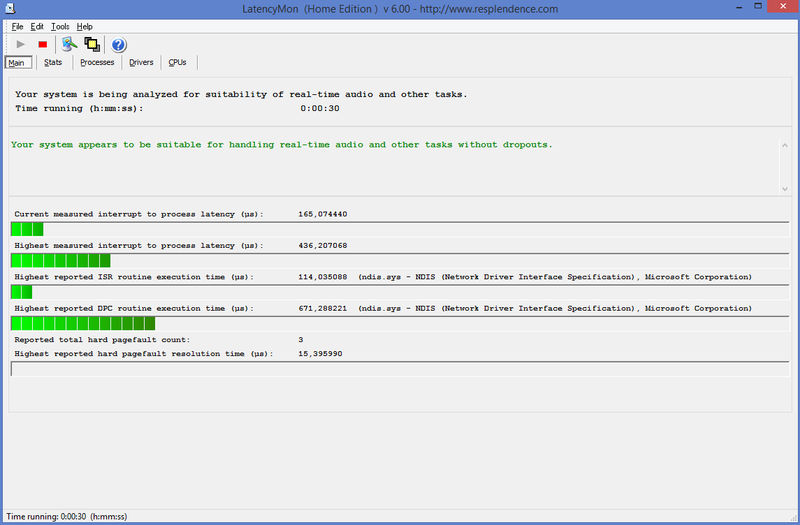 Obviously, these are only driver issues, which we tried to fix by updating the software. Admittedly, we were able to install a new Catalyst 14.3, but then the graphics switching did not work anymore - we can only hope for a future update. Without the quiet but ever-present noise of the hard drive, you could almost forget that the notebook is even turned on. The fan not only turns off almost completely during idle, but often when browsing or during video playback as well. When it turns on for a short while and at the lowest level after all, the noise can barely drown the continuous noise level of the HDD anyway. 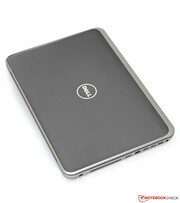 The Inspiron presents itself far less well under load. However, it is not the measured noise level of 41.9 to 42.7 dB(A) that might be insufficient for that amount of performance - competitors like the Acer Aspire V5-573G (40.9 - 43.6 dB(A)) reach similar values. What we dislike is the unpleasantly high frequency characteristics as well as the occasional buzzing sound of the graphics card during several 3D applications. In our first review, we could not detect any of these issues. Maybe not every device is affected by it. 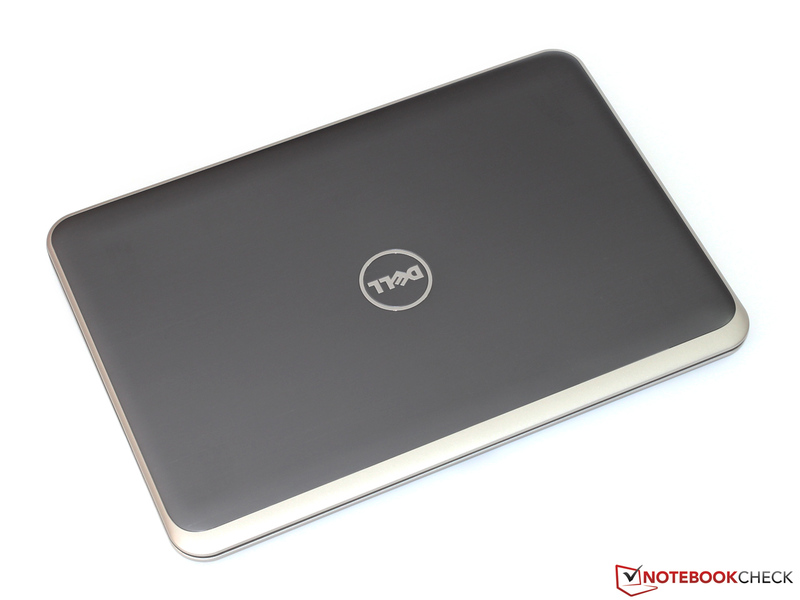 Due to its slightly thicker case, the Inspiron 15R deals better with the waste heat of the CPU and the graphics card than the extremely slim Aspire V5. 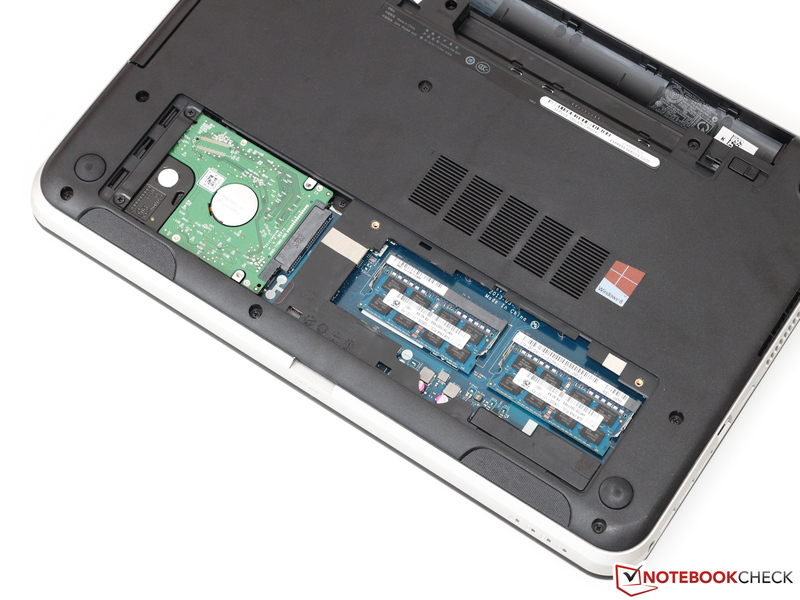 Nonetheless, the temperatures rise to about 47 °C (116.6 °F) in the middle of the notebook when the hardware is under full load for long periods. Since the wrist rest stays significantly cooler, the user should barely be affected by it. 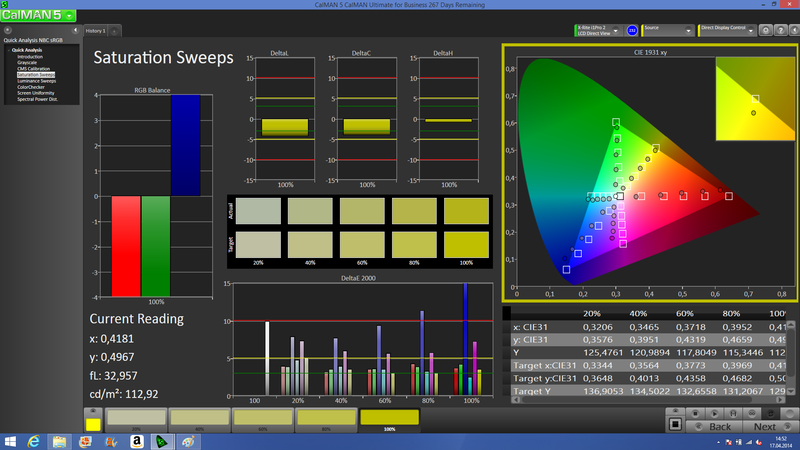 A look at the sensors of the Core i7 and the HD8850M reveals that they also remain at non-critical values. Given temperatures of barely over 80 °C (176 °F) the notebook should not be threatened by overheating even in mid-summertime, especially since our stress test with Prime95 and FurMark already simulates a worst-case scenario. However, it should not be forgotten that the processor (1.8 GHz) and the GPU (575 MHz) run only at their respective base frequency and therefore consume less energy. Unlike the dedicated Radeon GPU, which is automatically deactivated during idle, the bright, high-resolution Full HD panel shoots up the consumption noticeably in comparison to the basic model. 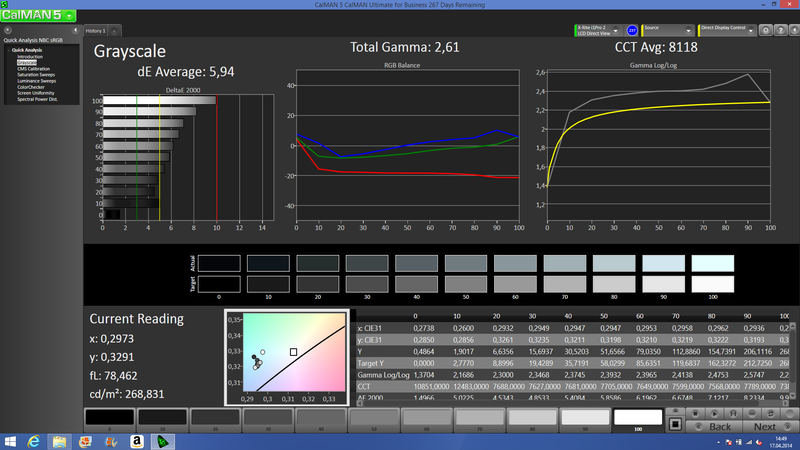 5.7 to 7.8 Watts now becomes 5.9 to 12.5 Watts. Nonetheless, this is still a completely acceptable consumption. The relatively low clock speed of the HD 8850M offers a staggeringly good energy efficiency that is superior to comparable Nvidia models like the GeForce GT 750M. 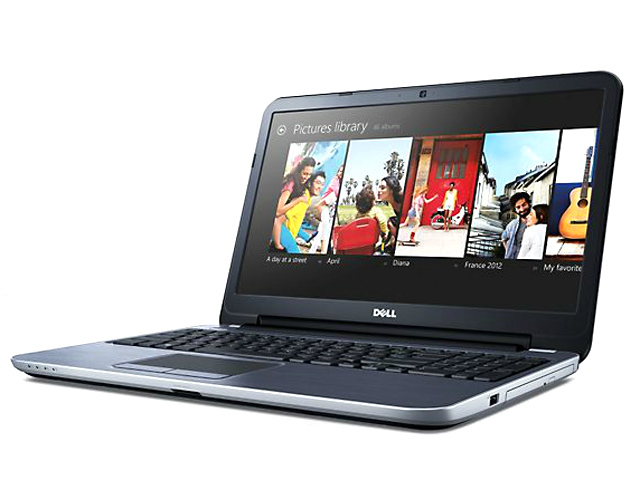 Consequently the Inspiron is content with only 52.9 Watts in the 3DMark 06 - the Aspire V5-573G requires a hefty 73.3 Watts. 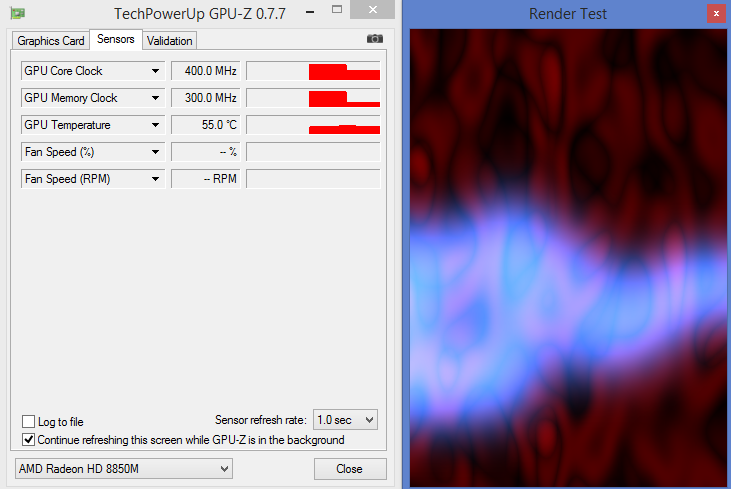 Admittedly, 5 Watts of the resulting difference are caused by limiting the CPU under turbo. The manufacturer provides a powerful 90-Watt power supply, which can easily handle the maximum power consumption of 63.5 Watts. Basically, 65 Watts would have sufficed as well, but the additional leeway does not hurt. Despite the slightly increased energy hunger, our test candidate scores with impressive battery runtimes, mainly due to its massive 65 Wh battery. 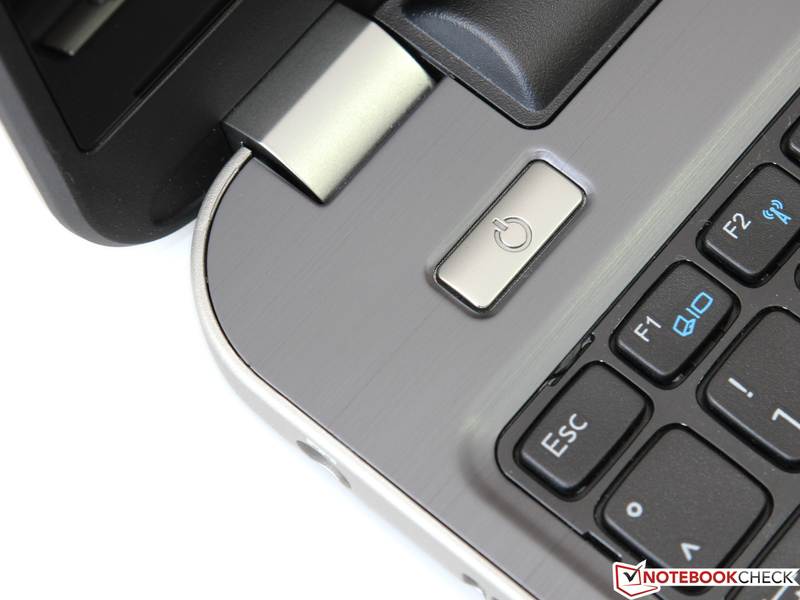 Ten hours and 51 minutes in the Battery Eater Reader's test (energy-saving mode, minimum brightness, WLAN deactivated) let even some ultrabooks go green with envy. The results of our practical test also lie on a high though not exactly sublime level. At adjusted display brightness (about 150 cd/m²) the user can watch H.264 videos for about four hours or browse via WLAN for 6 hours until he has to find a socket. Depending on the load, the battery can empty significantly faster, as proven by the runtime of 98 minutes in the Battery Eater Classic test (maximum performance and brightness, WLAN activated). 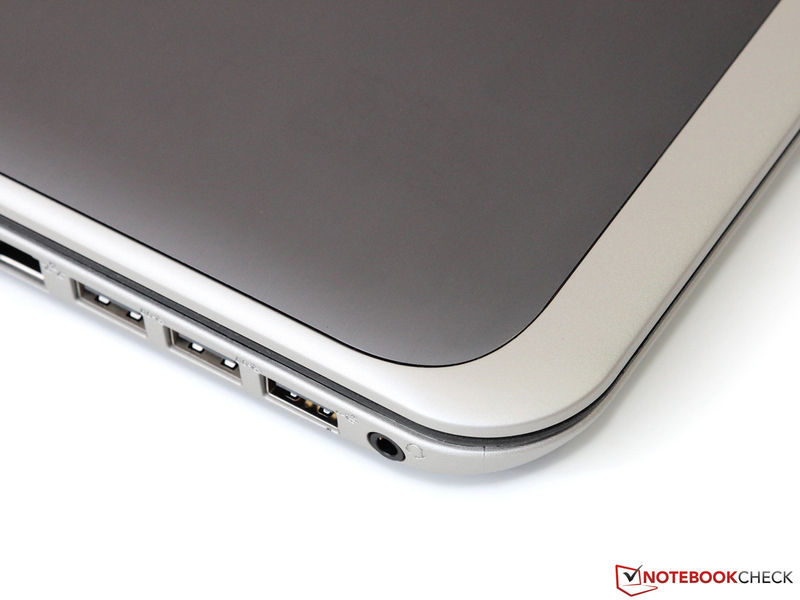 Patience is required for the subsequent charging process: The notebook is fully loaded only after four hours. 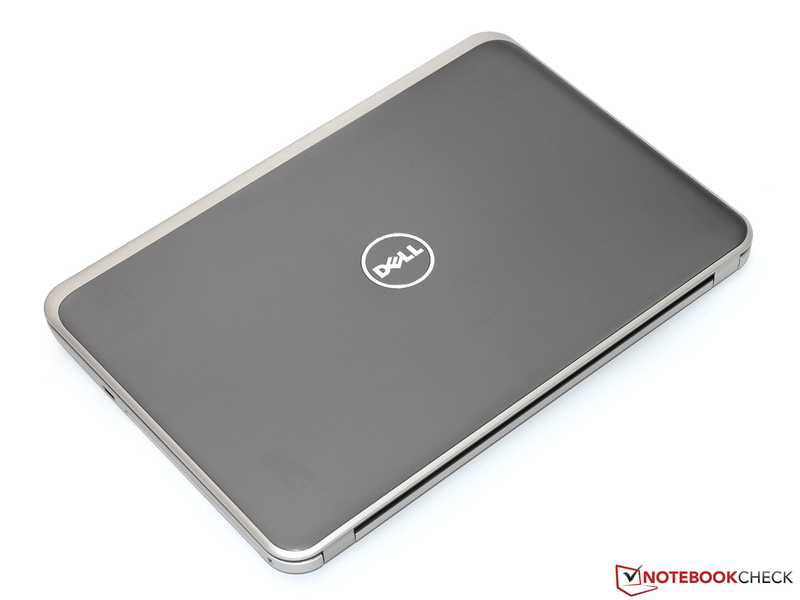 Much notebook for little money - this could swiftly summarize the Dell Inspiron 15R-5537. Only a few competitors in the 750 Euros (~$1040) range offer similarly abundant equipment, particularly as the quality of the case and the input devices is convincing as well. However, which configuration suits whom? Those who can live without the touchscreen get, with the optional Full HD panel, a bright display suitable for outdoor use. Although the contrast ratio and the viewing angle stability cannot quite keep up with a high-grade IPS model, the improvement in comparison to common WXGA displays is still tremendous. The second highlight of our device, the additional Radeon HD 8850M, also justifies the surcharge with its impressive performance at the level of a GeForce GT 750M compared to the integrated Intel GPU. Unfortunately, in this context, we need to mention the various driver issues that partly thwart the performance surplus of the Radeon - the user can only hope for future updates. The manufacturer should likewise consider if it is necessary to completely deactivate the CPU turbo in 3D applications. Furthermore, if the high-frequency fan were replaced by a more discrete model, Dell would have eradicated most of our points of criticism. 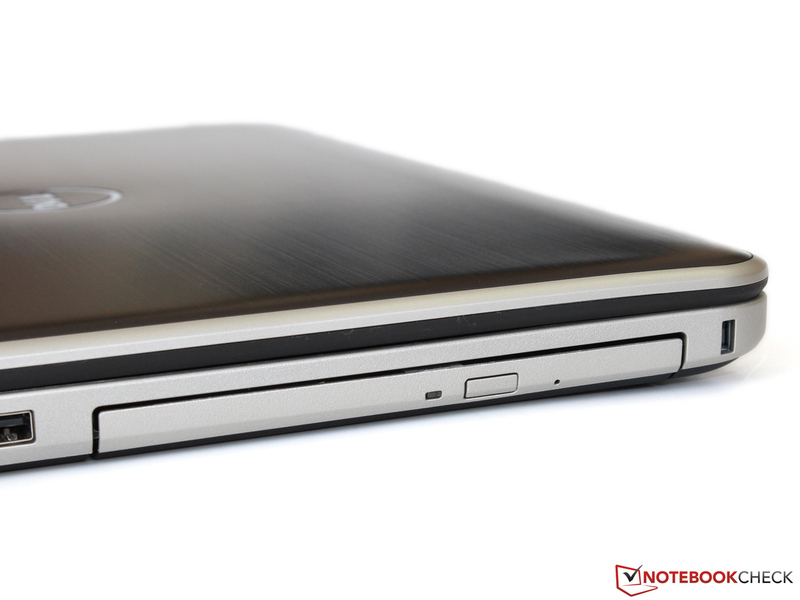 All in all, the Inspiron 15R is quite an interesting alternative to competitors such as the Acer Aspire V5-573G; provided one can live with the mentioned weaknesses. 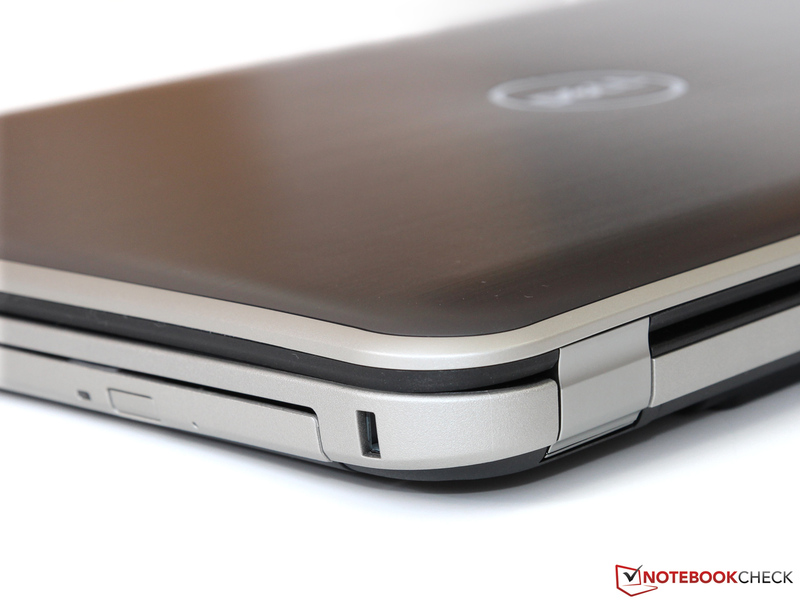 In Review: Dell Inspiron 15R-5537. Test sample courtesy of Dell Germany. ...has a few improvements to offer. We are testing the matte Full HD version. ...all in all it seems quite high-grade and sturdy. ...which require both hands to open. ...it offers a DVD burner. ...however the keyboard could have been somewhat more crisp. 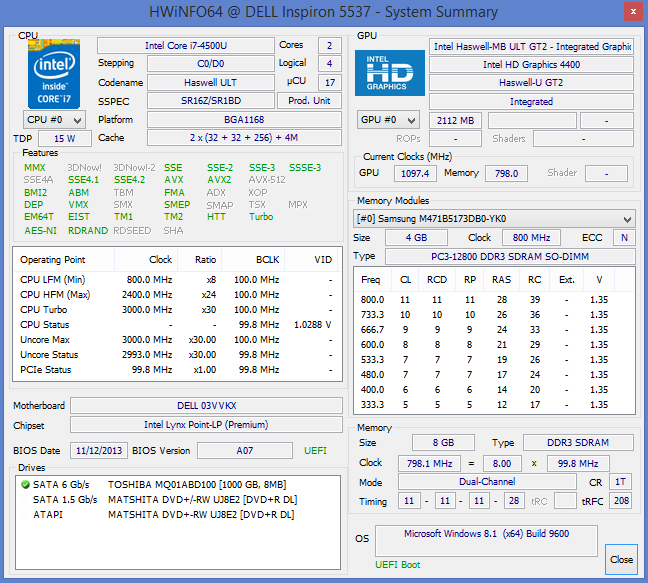 During idle the Inspiron runs mainly passively. ...a maintenance hatch is hiding. 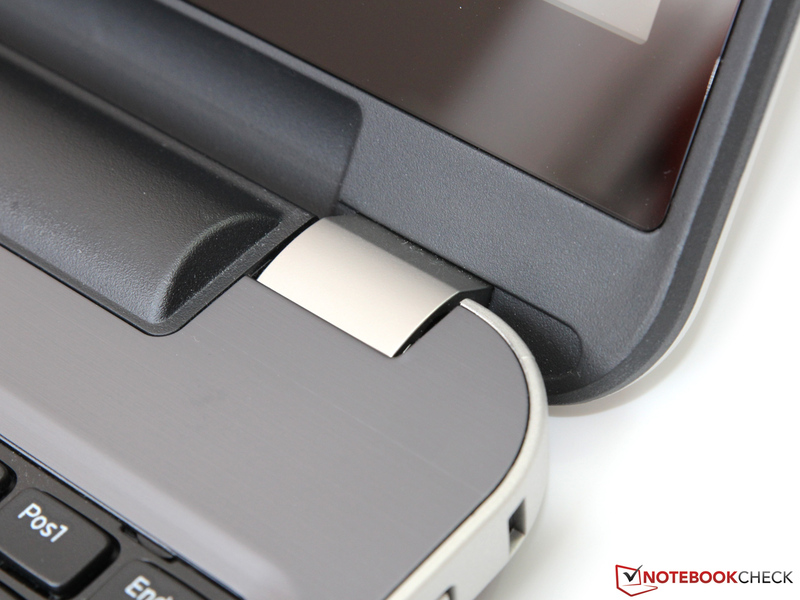 ...just as well as the only 2.5-inch slot. 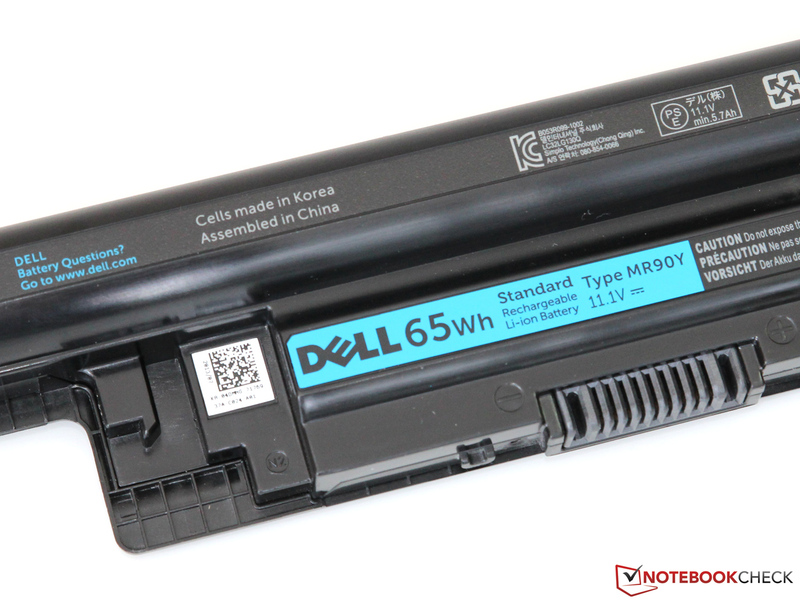 The 65 Wh battery lasts up to 11 hours. Core i7 processor, terabyte hard drive and Full HD display - such extensive equipment for as little as 750 Euros is quite impressive. 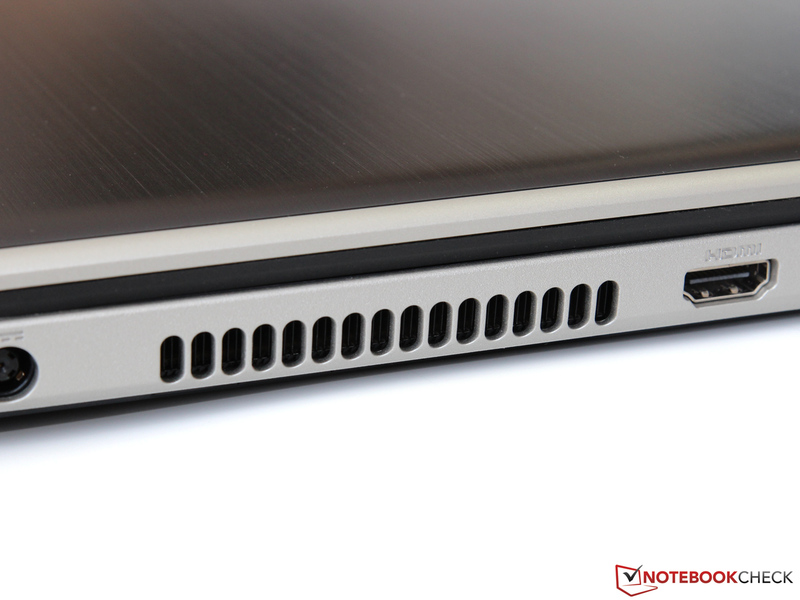 The 15-inch case should actually be able to dissipate the little waste heat of the installed hardware pretty quietly. A humming fan and a distracting buzzing sound thwart this goal. 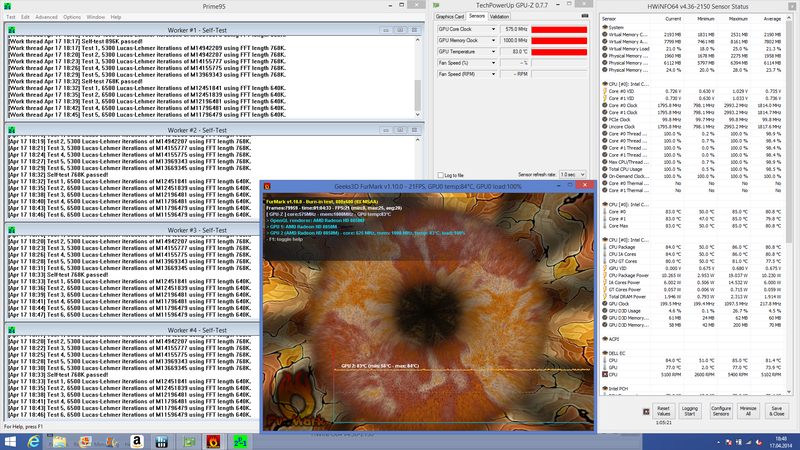 The many shaders combined with a low clock frequency make an efficient alternative of the Radeon HD 8850M to the popular GeForce GT 750M. Unfortunately, some driver issues tarnish the gaming experience.